Police, magistrates and prisons by G4S. Is this what the British people want? A violent burglary. The scenes of crime officer who visits your house is employed by G4S. Fibre samples are found, swabs taken and despatched to G4S Forensics. A suspect is held in police cells run by G4S, appears before magistrates trained by the company. At Crown Court the accused is found guilty, sentenced, driven to a G4S prison in a G4S van. On probation he attends a G4S work programme wearing a G4S electronic tag. This is not some dystopian future. All this and more is happening in Britain today. I have only brought together in one story a small sample of the domestic activities of G4S, the world's largest security company. It’s the largest police privatisation contract so far, with a potential value of £1.5 billion over seven years, rising to a possible £3.5 billion depending on how many other English forces get involved. Our criminal justice system already provides a highly profitable supply chain to corporate interests. G4S, one of government’s favourite companies (slogan “Securing Your World”) is moving ever closer towards cartel control of every step of the process. Here are some details from the big picture. Late last year, Lincolnshire Police handed control of all police “services” to G4S for perhaps 25 years, the first ten years alone valued at £200 million. So, G4S runs Lincolnshire’s police cells and police control rooms (with only two police officers supervising), its crime management bureau, ticket office, collisions units, criminal justice units, firearms licensing, the hiring and firing of police officers, and police computers as well as fleets of police cars, police procurement and police finances. This past January, Scotland’s SNP government introduced a bill to create a single Scottish police force to “save £1.7 billion”. Is it the intention of the SNP government and Scottish police leaders to make the financial savings by privatising the entire Single Scottish police force? John Shaw, managing director of G4S Police Support Services, has already held secret talks with leaders of two Scottish police forces. In February last year the SNP Justice Secretary, Kenny MacAskill shared a platform with John Shaw at the Policing Scotland summit. In March G4S was handed a contract to transport every prisoner in Scotland for the next seven years. As more and more police “services” are being fast-tracked for outsourcing, the combination of contracts awarded piecemeal, with no Monopolies Commission oversight, is resulting in G4S grabbing contracts and policing power across the country. 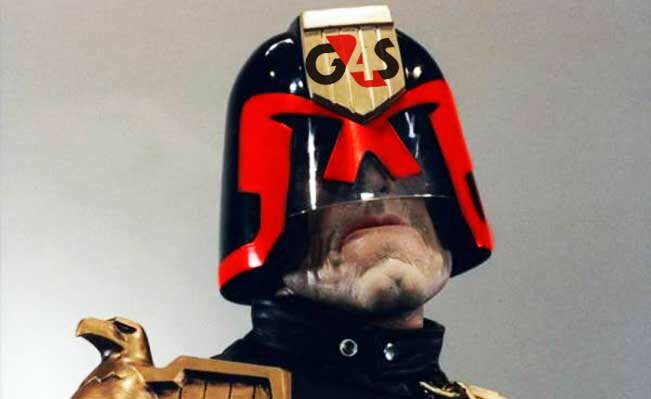 The Ministry of Justice has handed G4S a £300 million contract, starting last month, to provide “services” to more than 340 court, tribunal and administrating buildings across the Midlands, Wales and the North of England. G4S already have a 25 year contract, awarded in 2004, transferring court facilities and employees from the court service to G4S for the entire Manchester Magistrates Court building which houses 18 courtrooms, a coroners court and 48 custody cells. G4S are even involved in training magistrates for their “customer journey” for the Bedfordshire, Essex and Hertfordshire courts Board (with 1,600 judicial office holders, judges and magistrates) touching the lives of 3.5million people! Besides policing, prisoner transport courts and magistrates training, G4S provides forensics for Essex, Suffolk, Norfolk, Cambridgeshire and Bedfordshire constabularies, Devon and Cornwall, Gloucestershire and Wiltshire. And that’s not all. G4S tags, curfews and monitors 14,000 people in the UK. The company runs four prisons in England and last year won two 15 year prison contracts — worth £750 million — to run HMP Birmingham (the first publicly run prison to be transferred to the private sector) and HMP Featherstone 2, currently under construction. Come December 2011 G4S announced they had appointed David Griffiths as their new Director of Probation and Community Services. “David joins G4S with more than 25 years’ experience within the criminal justice system and in probation services, most recently as Deputy Director (justice policy) at the Ministry of Justice,” boasted the company. G4S have also been handed a big chunk of the government’s new welfare to work programme which Nick Clegg claims will help end “the dismal cycle of repeat crime”. G4S cultivates close and mutually beneficial relations with government. David Griffiths is only one of many officials who’ve spun through the revolving door. Politicians, too, can be useful. John Reid, former home secretary and minister for health, defence and transport, who went on the G4S payroll at £50,000 in 2008 when he was a backbench MP, is now a G4S director with a seat in the House of Lords. “Is the Minister aware that the best protection against misuse or fraud on cyber issues is biometric protection?” asked Lord Reid during a January 2012 debate on electoral registration in the House of Lords, neglecting to mention that his employers G4S are big players in the biometrics market. What else is this company up to? It's a partner in the private finance initiative project that is GCHQ, the UK Government Communications Headquarters. It's engaged in "total facilities management" in the NHS, looking forward to "strong pipeline" from the Department of Health. It's at the heart of government plans to install smart meters in every single home in Britain, with Centrica, O2 mobile and others gathering data for the “G4S Data Bank”. It's running security at the London Olympics. It’s a big player in the automatic number plate recognition market. Its commanding position in “asylum markets” gets only stronger, regardless of rising public concern and a parliamentary committee’s findings, in the wake of the death of detainee Jimmy Mubenga, that there was “too cosy” a relationship between the UK Border Agency and its private contractors. G4S has been entrusted with reclassifying the disabled and helping troubled families, among multiple contracts under “welfare reform”. That’s an awful lot of our lives under one company’s influence. And a world away from the society we thought we had, where operations of the state were kept separate and independent from one another. There is surely a case for all police privatisation and criminal justice reforms to be put on hold and a Cartel Commission (a Monopolies Commission for all public sector contracts) to be established to ensure Parliament can see the big picture as clearly as G4S evidently can. What no coalition minister has made clear, as they use their power to fast track the privatisation of Britain’s public sector, is what happens when a foreign company or hedge fund takes over G4S. Could faceless, foreign corporate entities take control of our policing, our courts, the security of GCHQ, our criminal justice files, our prisons, probation services, the smart meter data centres and all the other G4S controlled services in Britain? Shouldn’t voters be informed and consulted about whether we want G4S securing our world?